Emma Stone is considered one of the biggest actresses in the current generation. She is a well-rounded talent with amazing skills in comedy and singing apart from recognizable talent in acting. Stone has won multiple accolades for her acting performance. This article is going to discuss Emma Stone biography and filmography in depth. In here, we are also going to explore Emma Stone’s biography, the date of birth, Instagram account, and even Emma Stone’s partner. Emma Stone was born in a city within Maricopa County, Arizona called Scottsdale on November 6, 1988. 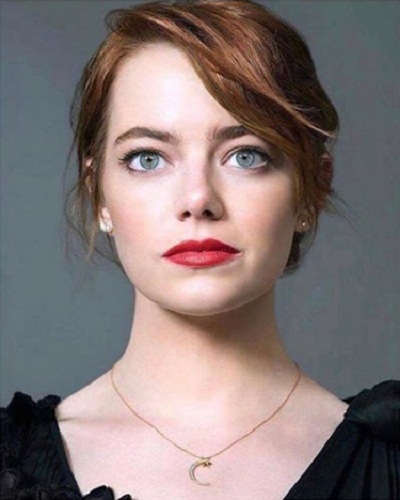 Her birth name is Emily Jean Stone. She is the first child of Jeffrey and Krista Stone who is working in the estate industry. Stone has a younger brother named Spencer. She is of Swedish, German, Scottish, and Irish descents. She had a boisterous and controlling personality growing up. She had stated in several interviews to have suffered many panic attacks during childhood. That condition had hit his social interaction with her peers harshly. She received therapy and joined local theater to improve her condition. Stone took lessons in acting and vocal performance since she was young with great support from her parents. In her younger years, Stone had never been interested in school. She was tutored at home to catch up with her years. In the end, she decided to forgot school in order to move to Hollywood and try acting professionally. She relocated to Los Angeles with her mother in 2004 and auditioned religiously using stage name Emma Stone. She learned high school subjects through online courses and worked part-time. Luckily, her career breakthrough started to happen in 2009. You are going to learn the movie list part of Emma Stone biography and movies. Stone gained recognition after starring in Ghosts of Girlfriends Past and Zombieland that received moderate box office success but did not perform well critically. Her major breakthrough came in Easy A where she gained recognition for her acting prowess. Since then, big movie offers are often sent to her directions. She starred in famous productions like Birdman, The Help, and two Spider-Man movies. She received various nominations and awards for her acting performance. Stone is not a strange name for big awards like Academy Award, BAFTA, Golden Globe, and AACTA International Award. For her role as aspiring actress in La La Land, she even won an Academy Award for Best Actress which is a great accomplishment. Stone likes to keep her private life hidden from the public. She stated that her reason is that she cherishes people around her and wants to protect them. She used to date her Spider-Man co-actor, Andrew Garfield for about four years. Stone is an active speaker for human rights, environmental movements, and children welfare.